January is resolution month; February is friendship. How can we help kids learn friendship skills? What are some basic and important ones? Taking turns is one of the earliest. We all know the importance of social skills for success at school and beyond. Some of them are so common that we do not think how critical they really are. On any day, as adults, we take turns constantly. Every time we have a conversation with someone we are taking turns. Every relationship is based on give and take. From early on, we help babies learn about taking turns. We talk to the baby and wait for any sound as a reply. Rolling a ball back and forth is another way to support learning about taking turns. As children grow, there are more opportunities and experiences. Besides letting others have a turn, kids also need to learn how to make sure they get a turn. Although most kids have the words, “I want a turn,” pretty clearly, it helps to add a few. “I want a turn. Tell me when you are done,” is often more effective. The other person is less likely to say no and feels recognized. We can model this for our kids by using the words when appropriate and coaching them to say the words when playing with others. If you are using something and your child wants it, you can also say, “I’m not finished my turn. Please wait.” Kids are usually fine with this. They have been able to communicate their message and know they have been heard. Of course, there may be some negotiation afterwards if kids think someone is taking too long. 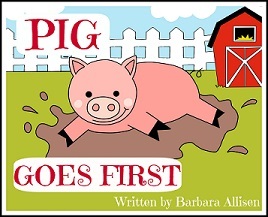 Reading books and telling stories is another way to help kids learn friendship skills. There are lots of games for practicing taking turns, such as Hopscotch, Throw and Catch, Hide and Seek, card games, board games, and more. Would you like a turn? 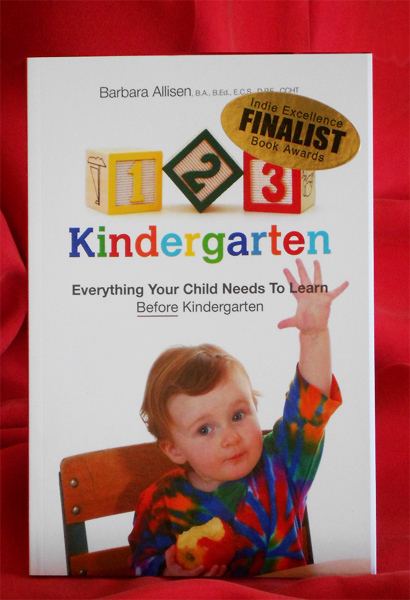 Is your child going to kindergarten, playschool, daycare, or preschool? Sharing and taking turns for kids are two early and important social skills. We can support kids as they develop and practice these. The early years, that is before the age of 5, are the most sensitive time for learning social skills. We might think taking turns is no big deal, but it is a huge part of relationships. Some other words for taking turns are give and take. 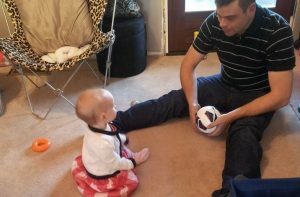 During our interactions with babies, we signal to them to take a turn. We wait for them to gurgle and when they stop, we take a turn. This begins programming the brain on how to have a conversation and how to have a relationship. 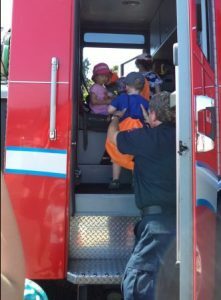 Our toddlers, preschoolers, and kindergarten kids practice both giving other kids a turn and taking a turn for themselves. We can help kids with taking turns by our example and gentle reminders, when needed. 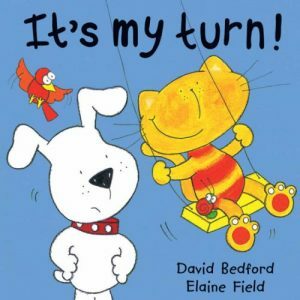 There are some great stories and books, like It’s My Turn, by David Bedford and Elaine Field. On the playground, the dog and cat are figuring out how to take turns on the slide and merry-go-round. They discover on the see-saw they can turns at the same time. 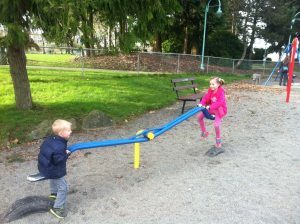 The playground gives lots of opportunities to practice with other kids. Sharing is more complicated than taking turns and it isn’t always easy. Babies and young toddlers figure out the first part about offering a piece of food or a toy to someone, but they hold on and take it back. It’s hard to let go. As with taking turns, kids will learn from our example. Stories and books are alternatives to reminders about the need to share, especially with brothers and sisters. Recognizing their efforts is very helpful too. Sharing A Shell, by Julia Donaldson and Lydia Monks rhymes the adventures of three sea creatures that figure out how to turn a home for one, into a home for two and then three. The video below doesn’t have the sparkle of the glitter that the book has. Hope our library has this one. Libraries are wonderful places that share with many, many people. How do you support sharing and taking turns for kids? P.S. 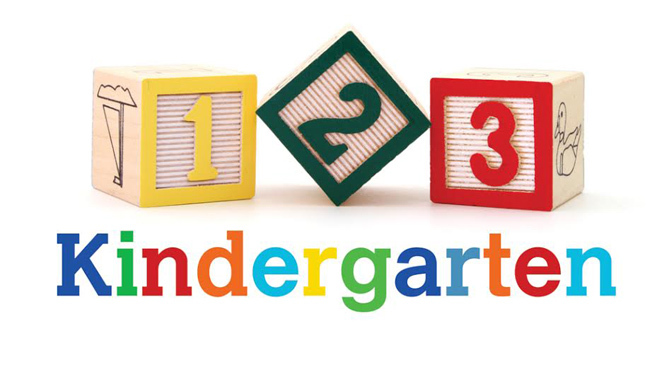 Some other ideas of early skills are on the infographic checklist Before I Go to Kindergarten. When it comes to readiness for kindergarten and social skills, 2 of the most important for little ones to learn are sharing and taking turns. 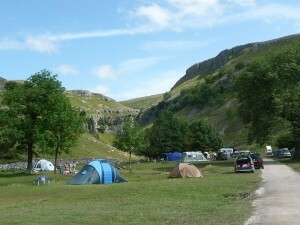 Yesterday, I blogged about some ways to practice sharing when camping. Today’s focus is learning to take turns. Camping has lots of opportunities to practice this. Before the day even starts, in small tents and campers, people may need to take turns getting up. Then, there is the issue of the limited bathroom facilities. Meal times may need everyone to take turns because of small stoves, help needed around the campfire, more sitters than chairs, etc. Campers need to take turns helping with chores such as dishes, sweeping out the trailer, bringing water, and more. Being able to take turns is important for group situations such as playdates, preschool, and such unstructured time as playground fun. 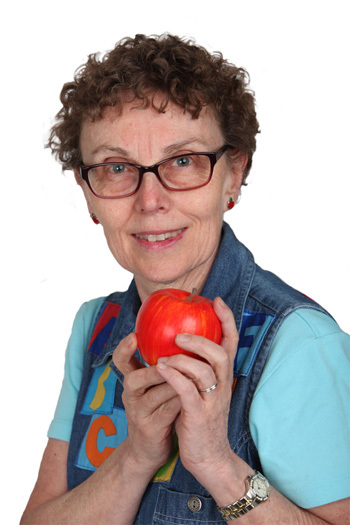 Taking turns has even been the subject of research, and not just for children. One study (Schoenhof, et al, 2006) investigated how adults take turns in a traffic congestion game. Another paper states that “… it serves as a prototype for more general forms of reciprocity.” (Vanderschaaf and Skyrms, 2001) I think, possibly, this means that taking turns is the basis for give and take in relationships. We all experience these situations on an everyday basis. For little ones, being able to share and take turns will help for more than kindergarten readiness. Now, if the rain would let the sun take a turn, camping would be a lot more fun. Taking Turns – Me First!